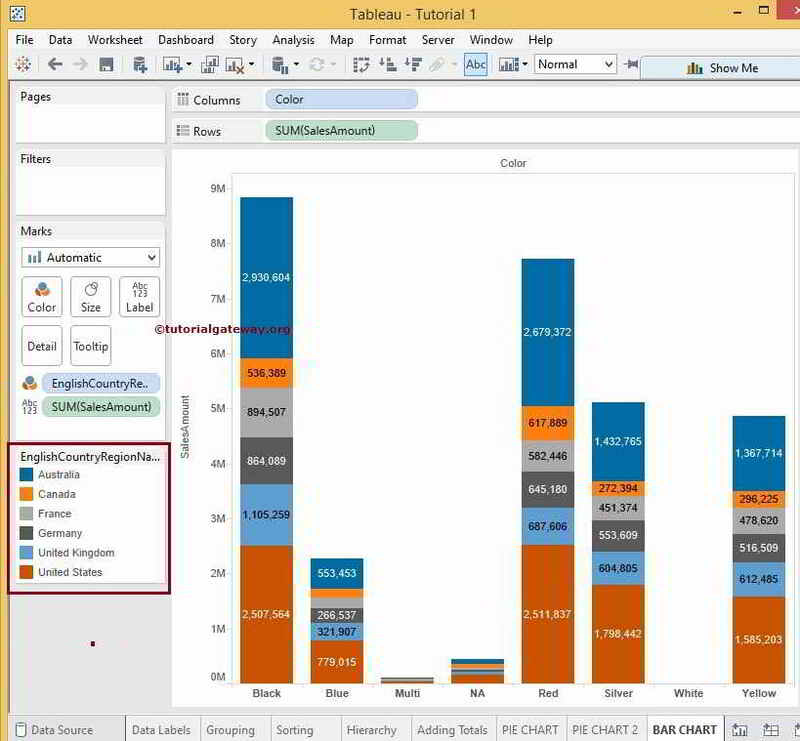 Bar Chart in Tableau is very useful to compare the data visually. 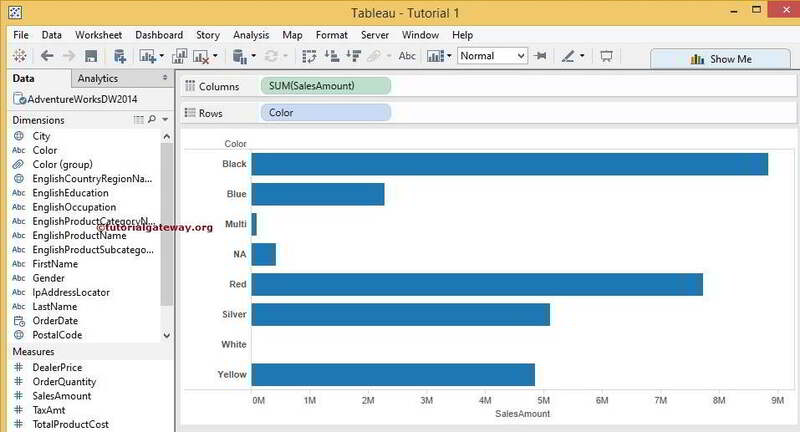 For example, If we want to check the Sales by Color we can use this bar chart. By seeing this bar chart, One can understand, Which colour product is performing better compared to other. 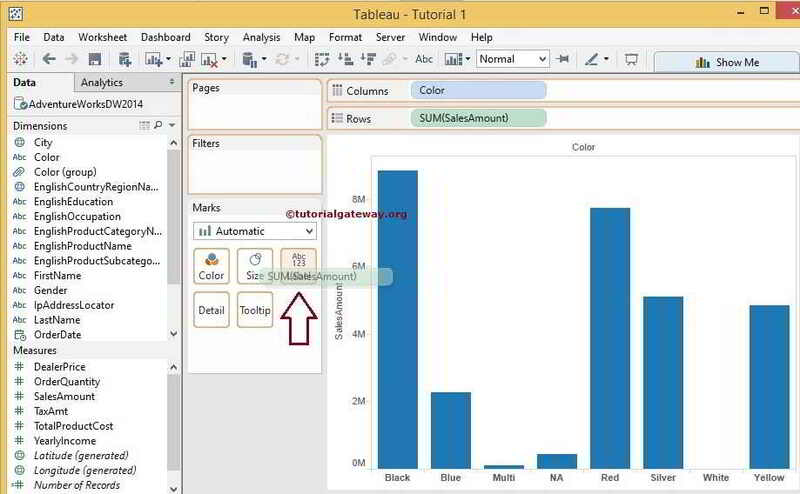 Creating a Bar chart in Tableau Desktop is very easy. 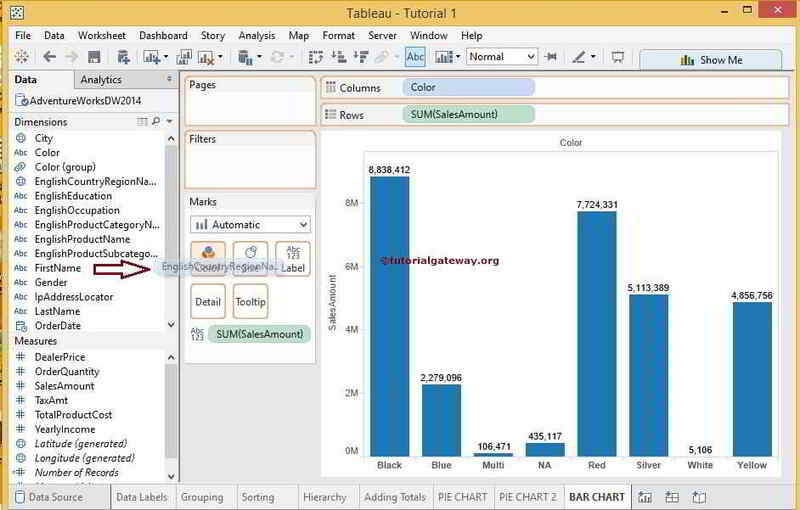 If you drag a measure to Column Card and Dimension to Row Card, it will automatically generate the Bar Chart. 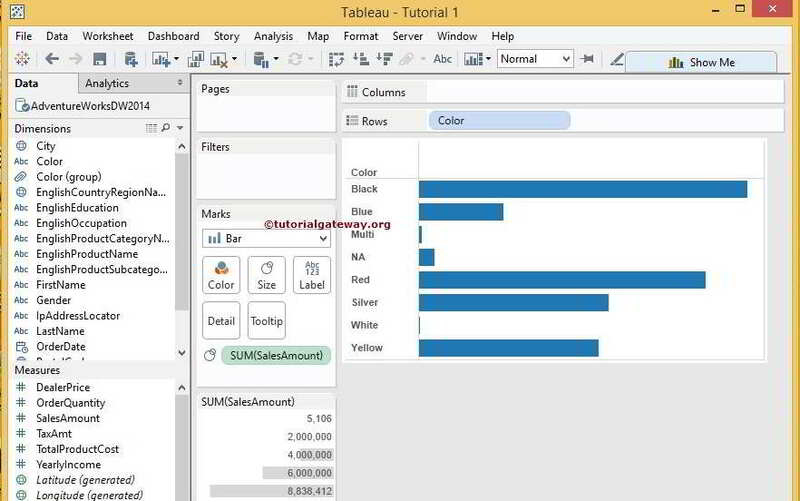 In this article, we will show you, How to Create Bar Chart in Tableau and Stacked Bar Charts with an example. 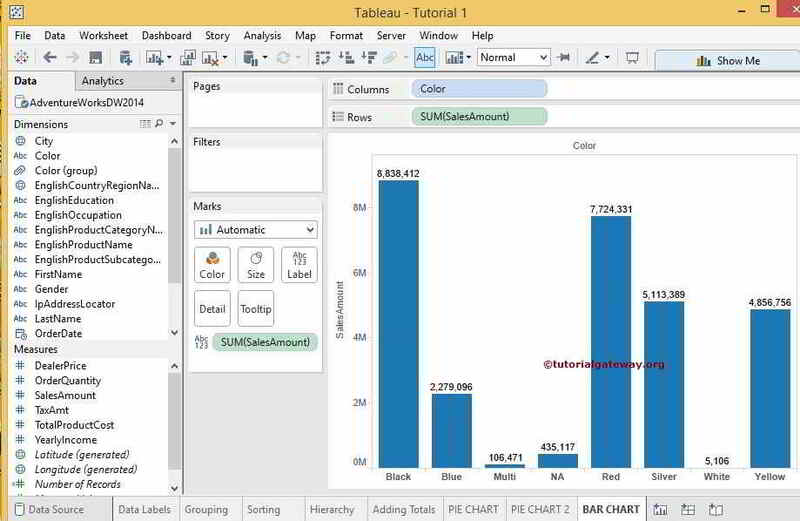 For this we are going to use the Data Source we created in our previous article so, Please visit Data Labels in Tableau Reports article to understand the Data Source. 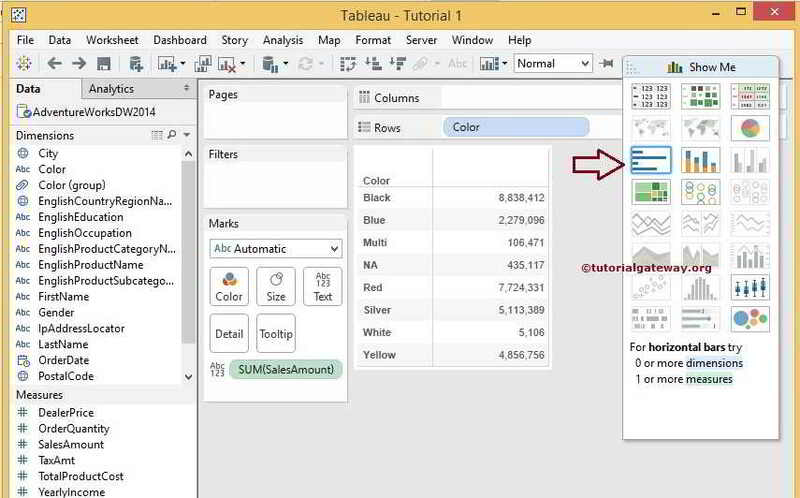 First, Drag and Drop the Color Dimension to Row Shelf and Sales Amount to Text option in Marks Card. Since Sales Amount is a Measure value, it will be aggregated to default Sum. If you observe the above screenshot, It is providing perfect result but we are unable to identify the exact amount Sales of each colour. To resolve these situations, We have to display the Data Labels. 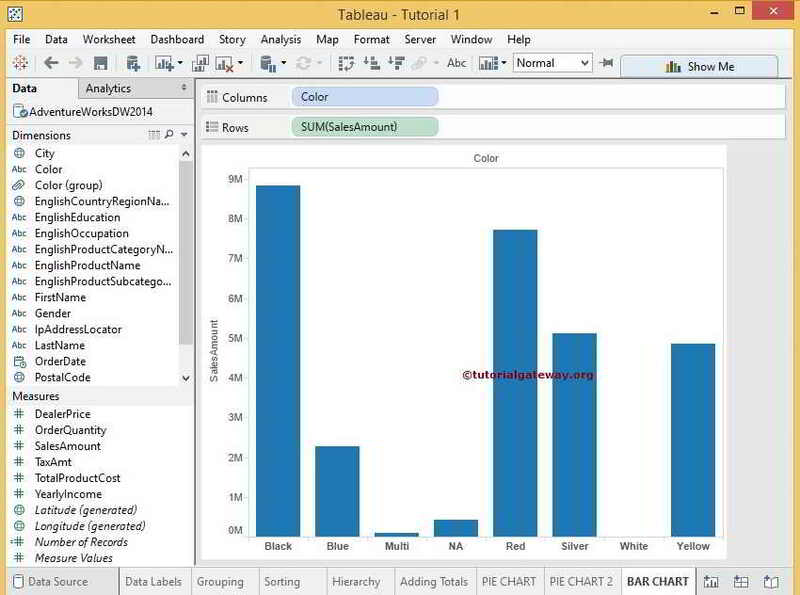 Once you are done, You can see the Stacked Bar Chart As shown in below screenshot. 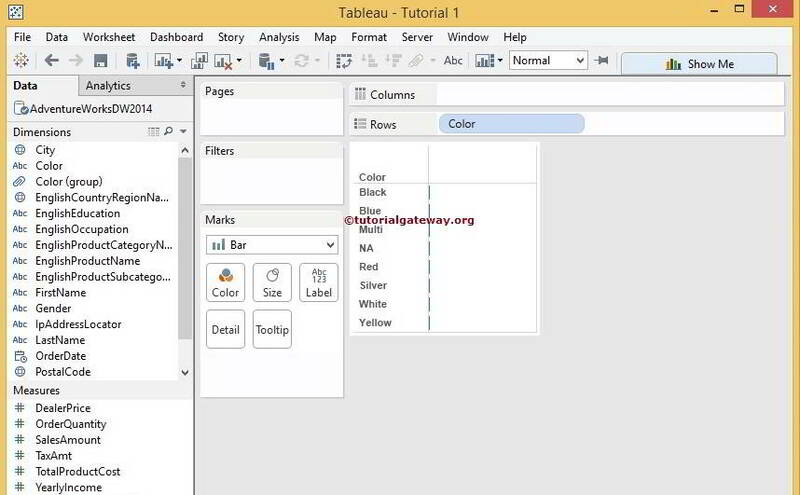 Tableau Desktop allocate default colours for every region but from the Marked Region, You can edit the colours by selecting the Edit Colors.. option from the context menu. 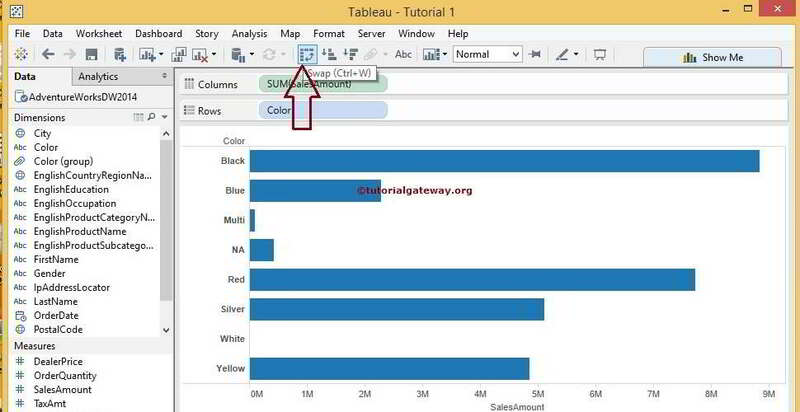 Next, Drag and Drop the Color from Dimension Region to Rows Shelf as shown below. 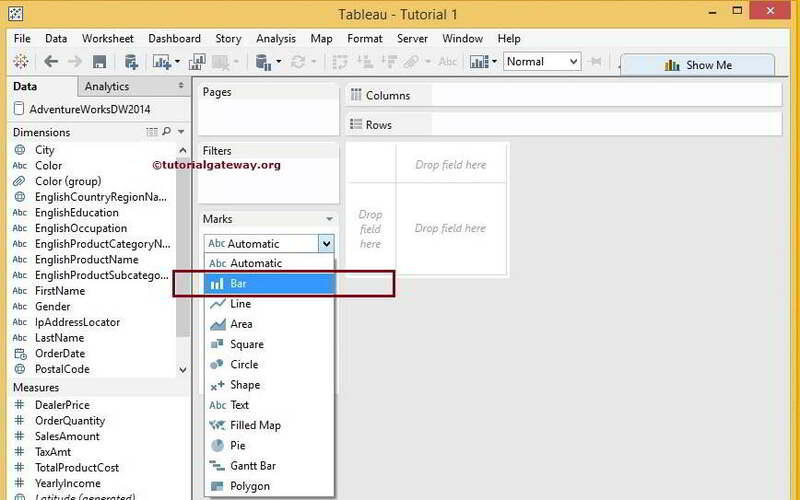 Next, Drag and Drop the Sales Amount from Measures Region to Filed region as shown below. Since it is a Measure value, Sales Amount will be aggregated to default Sum.